This beautiful doxology is a familiar song of praise sung in churches crossing denominations and languages and cultures and nations around the world. But most of us know little about these beautiful verses that are so familiar to us today. I’m sharing a printable suitable for framing up to an 8 x 10 print. Hoping that you will print it out and sing it out as well! But first, let’s look at where we got this treasured doxology that is a part of so many of our lives. The doxology was first printed in England in 1709 in A Manual Of Prayers For The Use Of Scholars Of Winchester College. It was written by Anglican Bishop Thomas Ken. Ken served as spiritual leaders to English royalty and was the bishop of Bath and Wells in England. For most of his adult life, Bishop Ken was affiliated with Winchester College and Cathedral. This doxology was first charged by Ken to be read by the students of Winchester College as their morning and evening hymn “in your chambers devoutly”. Thanks be to God that this hymn did not stay in the private chambers of Winchester College. The printed doxology is the last stanza of the fourteen stanza hymn. It is a beloved part of our Christian heritage and maybe we should all take to heart the instructions of Bishop Ken to his charges and sing this morning and evening devoutly! 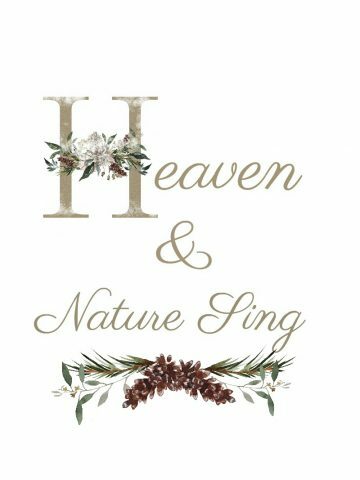 You can find a free printable of this beautiful doxology HERE. 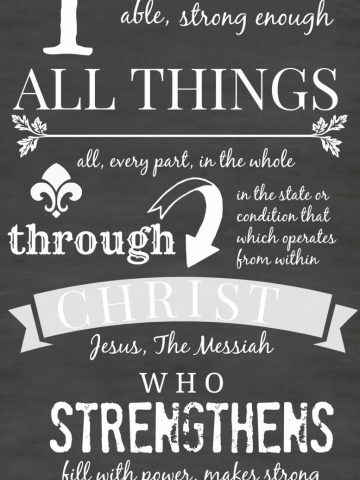 I love that scripture. I am going to print it out with my Cricut and stick it on my mirror! I want to read it every morning when I awake. Thanks for the printable of the Doxology too! Have a wonderful week! 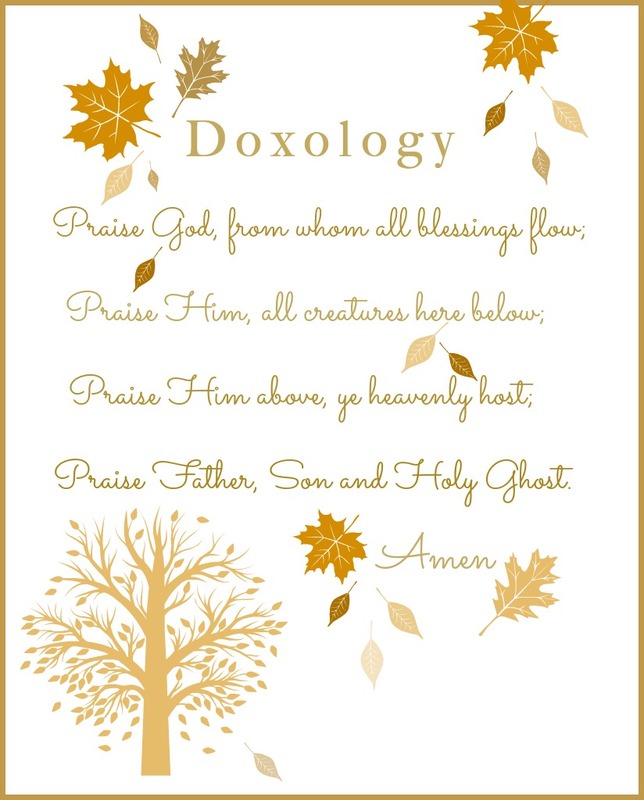 Thank you for this printable and the history of the Doxology. It has been such a huge part of my life since I was a very small child. I find myself singing it often. I’m so thankful that I had a Mom who took us to church and Sunday school and that I have such sweet fellowship with the Lord. Love all that you do, Yvonne. Wish I could print it out. It’s beautiful. Thank you for putting this comforter as a lovely printable. I grew up with this doxology, and it is an integral part of my being. I so appreciate your sharing your faith with us and your Sunday postings. Beautiful Sunday scripture Yvonne! Thank you for your ministry. Have a wonderful blessed week! Love the Doxology hymn! A wonderful way to start and end one’s day. Thank you for the beautiful printout. Just leaving got church where I will sing this SS I have every Sunday for my entire life! But never knew these so very interesting facts! Thx for being so faithful in your Sunday morning teaching blog! The verse or stanza on the printable is the response we sing each Sunday. I was surprised to learn it’s just one on 14 verses and a hymn! Thank you so much for sharing. It motivates me to look for the other verses. I always enjoy the free printables that you share with us. Wonderful! Very pretty! Wish my computer was in working order. This would make a lovely place card on the Thsnksgivjng table with a pretty ribbon! Very familiar to me, having grown up a Methodist! Thanks for the bit of history. I love knowing how things come about. I love this song/prayer/praise. I will be printing this for my home this Thanksgiving. Perfect. Thank you so much! Just printed and will be placing in my home! Beautiful print. Thank you for sharing the history. Thanks for sharing this and for the history behind it! We sing this every week and now know its origins. Once in while we sing it at our church. Thank you for share it with us today. We used to sing this every Sunday at my old church. Now I attend a Contemporary service which doesn’t include it. Thank you so much for the beautiful printout! It is so simple yet so full of blessing! Thank you for the Printable, and since I noticed the one from last year is still available, also. I want to frame printouts of each, and as others have suggested ~ use them for hostess gifts at both Thanksgiving and Christmas. Thank you for you generosity once again. Lovely I will definitely print and frame for Thanksgiving. Love this song!!! I often sing it around the house to worship the Lord! I love your website, having recently stumbled upon it. You are seriously talented and I love reading your posts, getting decorating tips to help make my home beautiful. And how wonderful to know that you are a Christian who enjoys worship music.I’m a health coach but I love to write contemporary Christian songs and recorded a few on Youtube. Check them out and I hope they help you continue to worship the Lord and remember his promises! Let me know what you think! Blessings! Hi Sharon, Welcome to the StoneGable family, Sharon! I grew up singing this in the youth choir at the Methodist church we attended. Thank you for the background. And thank you for sharing your heart with us as well. The words to this song are so inspirational and stay In your heart and on your lips for many hours after church is over. I love singing this song as I go throughout the day it gives you pause to stop and reflect on our God’s wondrous gifts. Thank you for sharing. Love this. We sing it every Sunday but I did not know the story behind it. Thank you for the printout. would sing it in church. I’m thankful for you sharing on Sundays. Always a blessing! Thank you for reposting this. It is a lovely print off. One of my favorites. Love you begin each week with Christian inspiration! Printed off a copy for myself & one to share as a gift at Thanksgiving dinner. Thank you, Yvonne! This is beautiful! So kind of you to share! Beautiful. Thanks for sharing the printable and story. I’ve been singing this since Election Day. I am happy for the freedoms we have in our country, and I am happy God’s love shines on us every day. Oh how I have always loved The Doxology! Thank you and I’ve shared on Facebook. Always have sung this in church but did not know the background. Thanks for providing it today. Love your Sunday posts and look forward to them. And, of course, love all about your blog. Your decorating skills are exceptional. 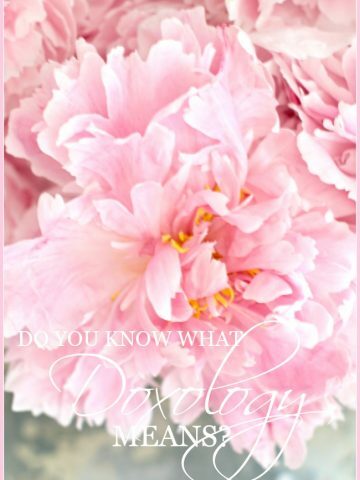 Thank you for sharing the beautiful words of the doxology. Yvonne, thanks for the background info on the doxology. This print will be put in our Dining Room! Thanks, so much! Also, I love that verse “for memorization” this week! We serve an awesome God! Amen! Have a blessed week, Yvonne. Just love your posts! You do such a great job and we all enjoy each one — thanks, again! Thanks for sharing! Enjoy your Sunday. Beautiful, Yvonne, and it comes at the best time. I loved singing this when I was just a kid in the church choir, 60 years ago! and I love it today. 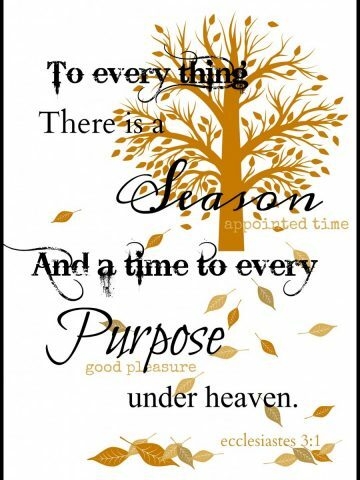 Thank you for bringing to mind so many of the wonderful blessings of God. Too often this Doxology and the Gloria Patri become rote. These words are so reverent and inspiring. May we sing the words from our hearts. The Doxology was always my favorite part of church service. We don’t sing it anymore (Baptists) but it’s written on my heart. Thank you so much for this printout. I love that Barbara, “It is written on my heart”! Mine too! This is beautiful —- Thank you for the printable. This hymn will have a prominent place in my home. A favorite. Thanks for including it in your post today. I am going to print this out, frame it, and use it as a hostess gift. Thank you for sharing, I will be printing this out. Always look forward to your Sunday scripture posts. Thank you for taking the time to do them and for your faithfulness in Jesus. Hi Yvonne, I had a terrible time getting to this post!. When I clicked on it from my email link, it took me to an untitled, blank page. Maybe you can fix the link? It was worth searching for, though. 🙂 (I clicked on a different link in the email, and then clicked on the Home, which brought me here.) Thanks for the printable–I’ve loved this song since I was a child. I love your Sunday posts. They always remind me of all our many blessings from above. Thanks for sharing this! I’m going to frame it and put it in our new dining room. We are indeed blessed. I’m making a list of blessings today. Guess what? You and your blog are on it. Always my favorite, Thanks for the fall looking download. Will frame and add to my fall decor. Look forward to all your Sunday posts. This is beautiful – I will be sharing this with my family this Thanksgiving. We sing this every Sunday and I did not know the background! But am happy to say we do not sing all 14 stanzas!! It’s a beautiful reminder of all that we have!